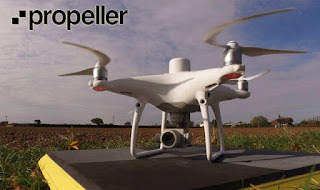 As per several market studies being conducted by Fior Markets, it is evident that the Agricultural Drones Market is growing at a very fast pace. The commercial farming drone market has come of age in the past five years or so. Today, drones carry high-definition cameras and advanced tracking software making them suitable for all kinds of commercial tasks including powerline inspection, forestry management, weather reporting, checking for cattle, and of course for mapping. To make better maps more efficiently, sometimes we change the way of flying. Sometimes it means changing the way we capture images. And sometimes that means changing the way we use our drone software. So today, we're going to talk about drone mapping software in 2019. By using the latest drone mapping software and a little training, drones able to map large areas quickly, cost-effectively and high-quality aerial maps. These can be used by various industries, including military, construction, site surveying, mining, building inspection, forest management, and precision agriculture to create high-resolution mapping and imagery in real time. Today's as you can see, users are spoilt for choice when it comes to choosing high-quality capable platform of drone mapping software. So now you know how useful drone mapping software is and how various industries can use it, what are the best mapping software solutions available for drone operators? To help you make an informed decision we’ll take a closer look at the top 7 drone mapping software solutions on the market. 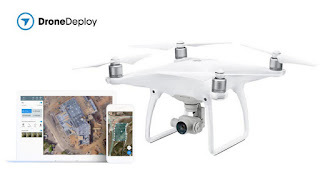 All the platforms mentioned here provide a very high level of quality 3D map reproduction and are compatible with the most popular drone manufacturers including DJI, Yuneec, PrecisionHawk and Parrot. These are the seven biggest players and we’ve assessed each platform of drone mapping software for its image quality, ease of use, range of features and drone compatibility. So without further ado, let’s get started. Each of them offers both: the mobile app and the web-based tool. 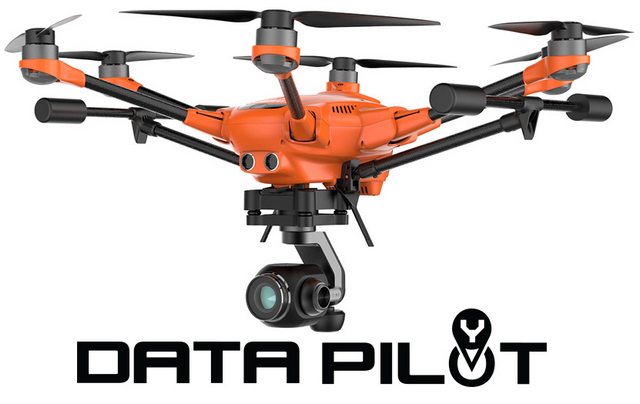 Yuneec DataPilot is a complete solution for planning survey and waypoint-based UAV flight. Unlike other flight planning applications, you can continue to work on larger missions. Moreover, the Yuneec has superb wind handling capacity. Yuneec DataPilot software system enables users to efficiently and consistently create orthomaps, 3D scans, and crop data imagery that produce the JPEG with less tonal contrast and more sharpening. Users can create a mission/flight before venturing in to the field. DataPilot saves the flight planning information and a portable version of the basemap to use and reuse at the job site. You may plan missions offsite and execute missions on-site when there is no data service, allowing for time-planning, collaborative mission planning, and archiving of missions in a cloud or local storage. DataPilot auto-generates survey flight paths with user-defined frontlap/sidelap, and cross-hatching for precision 3D or large format image output. Users may define a survey resolution via altitude or inch-per-pixel decisions, providing a platform that is capable of flight even in low or high-altitude paths. DataPilot also allows for storage/caching of maps from many map providers for access in areas without connectivity, and provides tools for precise waypoint placement even in areas where no updated maps are available. Pix4D is a pioneering developer of drone software tools that create professional-grade georeferenced maps and models from drone-captured imagery. Unlike other software, Pix4D has designed multiple versions for specific industries such as agriculture, surveying, mining, mapping and forensics, civil engineering, construction, earthworks, building information modelling and inspection. The benefit of using Pix4D is you get all the features needed to carry out the task of mapping for a specific industry. For example, with agriculture, detailed digital surface maps can be created allowing farmers to monitor crop health and plan crop cycles that will result in increasing crop yields. Can you map large areas through Pix4DCapture? If you still want to do mapping and using large areas. The big downfall with some of these mapping software's mapping programs specifically Pix4D capture is that you can only map a specific size area because it'll only let you fly one battery. It doesn't have the software capability to let you continue to fly the same mission. That's gotta be something they're working on. Because that's pretty important according to Pix4D. Is Maps Made Easy a good alternative to Pix4DCapture? If you can't use Pix4DCapture because you don't want to buy into the $250. That it is to not only use Pix4D processing but also the capture function, then you can use maps made easy which also does cross-hatching missions. And it also has variable gimbal tilt. So that's really good as well if you're using a DJI Phantom 4 Pro. Pix4D is a powerful feature-rich software with a range of versions available to suit specific industries. Can easily connect with industry-specific management platforms to get a more accurate result and help create yield predictions, profit and loss accounts, planning documents and detailed site plans. Also, technical support and Pix4D utilises CUDA which allocates processing resources to NVidia card GPU - so its more efiicent in terms of computer resource usage. Expensive for the casual user but the range of features available more than compensates for this. Due to its complexity, the software can be difficult to master for non-specialists. 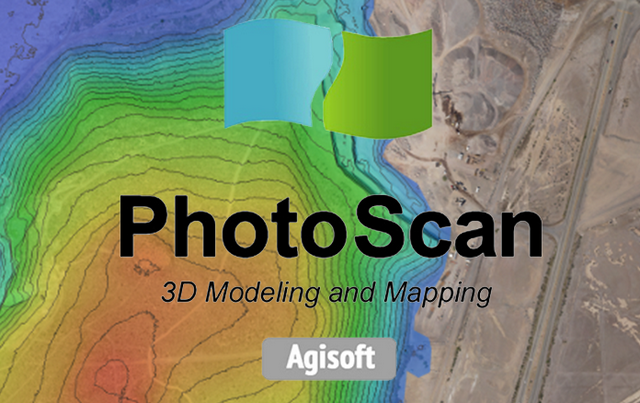 Agisoft PhotoScan is a great software product for drone users that performs photogrammetric processing of digital images and generates 3D spatial data aligned with panoramic stitching and support for fisheye lenses. It can be used in GIS applications, and visual effects production as well as for indirect measurements of objects of various scales. Wisely implemented digital photogrammetry technique enforced with computer vision methods results high resolution georeferenced orthophotos (up to 5 cm accuracy with GCP) and exceptionally detailed DEMs / textured polygonal models. It has a tot to offer to a specialist who can adjust the work-flow to numerous specific tasks and different types of data. The Agisoft platform can take accurate measurements, especially on the Z axis. It also can create point clouds and digital elevation models with ease. The fully automated and intuitive workflow enables a beginner to process thousands of aerial images on a desktop computer to produce professional class photogrammetric data. Cost-effective all-in-one software suite support for NIR, RGB, thermal and multi-spectral imagery. The professional version creates beautiful highly accurate 3D maps which is as good as more expensive software. All things considered, this is a well-rounded platform suitable for for structural engineers, architects, and GIS professionals. 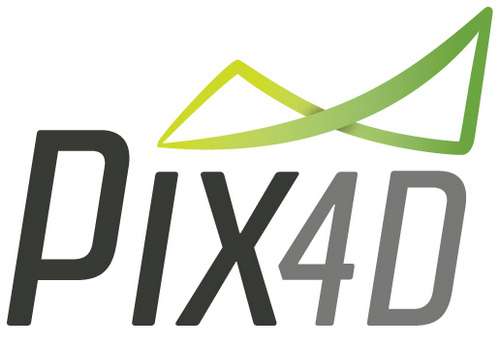 The platform feels too cumbersome and clunky to use and the support leaves a little to be desired compared to Pix4D. The one licence, one computer policy may also be not efficient for some larger organisations. Drones are transforming agriculture workflows by enabling farmers to access to automated mapping services which are suitable for both beginners and professionals. Giving user complete control out in the field, their solution is a must-have for those looking to conduct aerial mapping services. DroneDeploy‘s software facilitates automated flights from take-off, flight, and landing while automatically capturing images that can be uploaded to their software for processing. These stills can be used to create a range of visualised data from 2D maps to 3D models. Users can keep on top of your flight through a live first person view and are free to take back control of the drone at any time. DroneDeploy is a great platform for users who are just getting started with 3D drone mapping software. While the free version is too limited for most commercial enterprise uses. The paid versions do provide increased image quality and have the ability to measure volumes or group control points and export data and images to third-party software including AutoCAD, Blender, and Rhino. Surface detail for buildings is somewhat disappointing compared to the more specialised solutions from Agisoft and Pix4D. This makes the platform more suited to agricultural applications than construction or engineering. If he's doing NDVI which is vegetation index mapping, drone deploy is a really great option for that. So, you can download drone deploy on the unique tablet because unique uses it all in one system instead of you having to use a phone or an ipad like with the DJI Phantom 4. Drone deploy is actually really good because you can do volumetric measurements, you can do a simulated NDVI and drone deploy is really good for client deliverables. 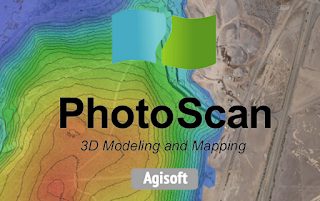 Pix4D capture is great for capturing data but you're limited to one battery and the delivery output is not very good but it is by far the best photogrammetry software on the planet. Propeller’s drone mapping software gives you the ability to measure and manage your land providing data about site productivity and progress in real time. This platform features visual tools that you can use from any device, anywhere. It produces data that allows you to see earthworks progress, report on inventory, and track changes with 3D surveys. The data is captured quickly, more safely, and cost-effectively. Propeller also has the incredibly handy AeroPoints. They are the world’s first smart Ground Control Point system (GCPs)that can help you create more accurate drone maps and have been specifically designed for drone surveying. They are lightweight and durable with a simple one-touch operation and are already used in thousands of surveys in most difficult conditions. Pros: Propeller is ideal for team data collections in real time, and is a quick and efficient data collection and management system. It also has data analytics that is tailored for your industry, as well as AeroPoints feature that makes accurate data simple and affordable. Cons: This platform is aimed at a more experienced user market. So with that in mind, wouldn’t be ideal for first-time users or new commercial drone businesses. Precisionhawk released enterprise precision mapper software for free which means that if you're a small business or an individual that wants to use your drone to for a new entrepreneurial venture or new business initiative, you can now take this drone mapping software and use it stitching capabilities to gather together all of the data that you're collecting or run analysis on that data for absolutely free. 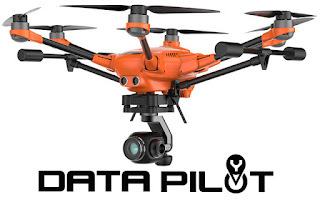 Precision Hawk is one of the leading providers of commercials drone software and services to business and companies that want to use drone technology to gather business intelligence to make actionable decisions that can improve the way that they're doing business. What are the pros and cons of using PrecisionHawk? With a large area projects and data processing algorithms, Precision Hawk is the go-to choice for large-scale agriculture, insurance, building inspection applications, and energy companies. You normally have to use their vehicles like the Lancaster and it's really useful for large area projects. Using a DJI Phantom 4 Pro or using those things Precisionhawk takes an extreme amount of initial investment. This platform is aimed at the enterprise market and can be difficult for inexperienced users to get their head around. 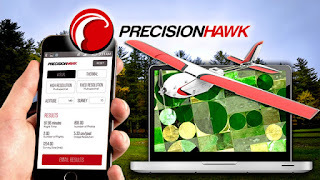 Why is PrecisionHawk the best solution? Precisionhawk is by far the best solution if you have major level clients or high-level clients or big farmers or people like the USDA. Precisionhawk is by far the best and here's why. The platform offers a wide range of sensors whether it's hyperspectral, multispectral NDVI or just a simple volumetric measuring of maps. So it can produce maps in both topographic and orthomosaic formats. Allowing it to create detailed reports such as canopy cover, water pooling, tree crown delineation and field uniformity. So, a Precision Hawk has a great online system that helps your clients not only visualize the data, but also interpret the data. It's an end to end solution when you're using Pix4DCapture, when you're using DataPilot, when you're using maps made easy you still have to figure out the delivery solution. Although each of these tools will do the job equally well, for the entry-level UAV mapping, we recommend you the PrecisionHawk Data Mapper app. It’s the easiest and the most straightforward, it’s not packed with features but it will do the job well, and there are not too many things you can do wrong using it. Farmers always try to raise the bar for collecting plant population. The old days of using muddy boots can be a thing of the past. FieldAgent spot scouting provides a grows with the plant population solution that catapults their in field knowledge and practices forward. Sentera's FieldAgent platform can in a single flight assess plant population on 80 acres in 20 minutes and provide results upon landing. How FieldAgent does it. The solution captures a single image in each acre to assess population. This means fewer images, higher resolution, and greater coverage with each battery. 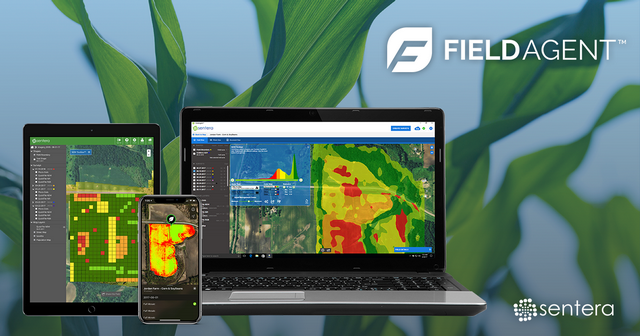 FieldAgent creates your population map within minutes of landing and at the field edge. No internet connection or upload is required when a more thorough analysis is needed - FieldAgent can count every plant in the field. You decide either map is exportable for planning purposes and to use throughout the season. 0 Response to "Top 7 Drone Mapping Software 2019"